The natural world is full of mathematical problems. Many of them fit neatly into established mathematical categories. There are problems in algebra, geometry or arithmetic. Others, however, can only be solved by crossing these boundaries. Now, using an algebraic approach to geometry, a mathematician at UGA and a colleague in Europe have discovered an unexpected method for predicting the results of certain probabilistic experiments. “What we have done is find a new pathway to understand details of certain mathematical structures,” said Joe Fu, one author of the research, just published online in the Annals of Mathematics. Co-author of the paper was Andreas Bernig of the Goethe University in Frankfurt, Germany. The new research has its origins in a simple exercise in so-called “geometric probability” known as Buffon’s Needle Problem. This well-known and much-studied thought experiment was originally designed by a French writer and philosopher, Georges Louis Leclerc, Count of Buffon, in 1777. In it, he examined the probability issues involved in throwing sticks or needles on a set of parallel equidistant lines such as planking on a floor. Buffon’s Needle Problem-predicting the probability that a needle thrown at random on the floor will cross one of the cracks between the planks-has fascinated mathematicians since Leclerc published the idea. One intriguing thing they found is that despite the inherent linearity of the problem, it actually involves the computational use of Pi, the mathematical constant that is the ratio of a circle’s circumference to its diameter. Ultimately this emerges from symmetry: the angle between the needle and the crack may take any value, and all values are equally likely. 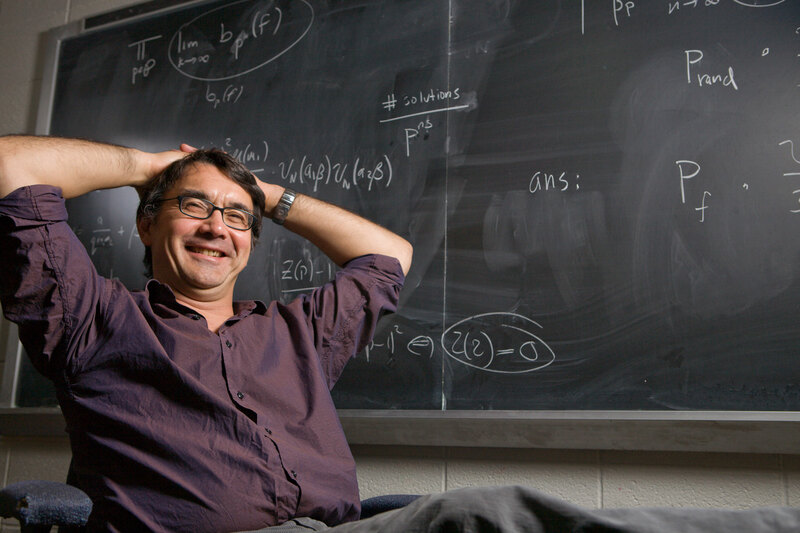 While the probability of how many lines the tossed needles might cross can be as simple as a child’s game, studying what happens using advanced mathematics such as linear algebra opens up, it turns out, “a whole world of unexplored problems of the same type,” said Fu. In fact, the recently published paper represents, Fu said, the first concrete progress on the collateral mathematical meanings of Buffon’s Needle Problem in more than 70 years. Indeed, the new work represents the tip of an iceberg that has long been in sight but never clearly understood. Their approach was based on revolutionary new methods in the algebra of measurement, developed in the early years of the 21st century by Israeli mathematician Semyon Alesker.